Here is another feijoa recipe for those of you who love feijoas (or who just don’t know what to do with them!). 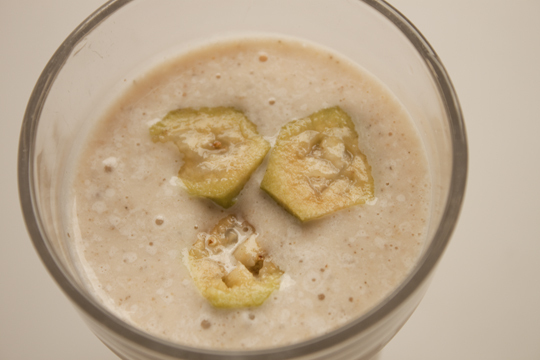 A delicious desserty feijoa and banana smoothie! milk, any kind you like (coconut, full fat dairy milk, nut milk etc. Add your desired amount of feijoas and bananas (e.g. a few feijoas and 1/2 frozen banana, to make ~ one serve), add roughly double the volume of milk and blend until it becomes a smoothie-like consistency! Enjoy chilled or over ice.